When designing an emergency generator system one of the factors to figure in is what type of fuel should or can I use. The first issue to tackle is the concern about reliability of fuel supply that codes and inspectors are looking for.NFPA 110, Level 1 installations require the use of ‘on-site’ fuel. Providing a letter from the gas provider about their reliability record may convince the AHJ to allow natural gas for these applications. For all other applications, other than Level 1, natural gas is an acceptable fuel. Although NEC requires ‘on-site’ fuel supply for mission-critical and legally-required standby systems, it does allow the AHJ to permit the use of other than on-site fuels in applications that have a low probability of both the power and the fuel delivery system failing at the same time. 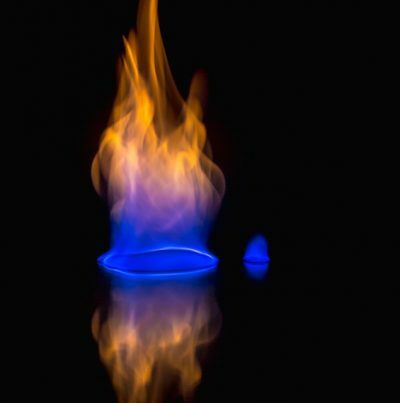 Once you have determined you actually have the option to use natural gas on your project, there are some other factors to look at to make the final decision. Room for fuel storage tends to be the first problem. Where can you install the generator? Does it have to go indoors or up on top of the building? If so, natural gas may be a better option. If you do have the real estate to install a fuel tank, you have to be sure to store it properly. Large quantities may require you to use a UL 2085, 2- hour fire rated fuel tank. You also need to make sure the fuel is properly maintained. Water in the fuel can cause fuel lines and fittings to corrode, fuel filters to clog, etc. Concern about getting someone to deliver additional diesel fuel to your location in a power outage is another issue. Fuel delivery services are going to be busy, especially in a mass outage like a Hurricane situation. Besides being busy, they may get stuck in all of the traffic, or face road closures for evacuation routes or roads under water. Cost is usually another concern when it comes to natural gas generator sets. Typically for natural gas generators rated 150 kW and below, price is comparable to diesel. However, once you get to 200 kW and up, cost difference begins to climb from about a 25% difference to more than 100% difference on the large units. Kohler and Blue Star offers natural gas models. We have the capability to parallel, on-board, through the controllers. By paralleling two or more smaller units, this can save quite a bit of cost over a comparable, single, larger unit, while adding some redundancy to your system. Our sizing software allows us to size projects like this using the paralleling option. As always we are here to help. Let us know what we can do. Feel free to give us a call or email at 281-358-0980 or info@kentechpower.com.